Southampton manager Mark Hughes has insisted he is unfazed by criticism from a section of the Saints' travelling supporters following their 3-2 defeat to Fulham on Saturday. Despite a brace from summer signing Stuart Armstrong, goals from Aleksandar Mitrovic and Andre Schurrle condemned Southampton to a defeat that leaves them perilously close to the relegation zone. Having not won a match since the start of September, pressure is beginning to mount and a section of Saints fans at Craven Cottage directed a 'you're getting sacked in the morning' chant at Hughes towards the end of the match. ​"There's always questions, there's always noise," Hughes told ​Sky Sports. "There's always an opportunity for people to question your position or your work. "You have to accept that. If results aren't what you want them to be, people get frustrated. At times it's a little bit unfair, because sometimes people smell blood and go after it and chase it and paint the situation in a different light than it actually is. "It doesn't faze me. I've gone through these periods before. You just get on with it and get on with your job to the best of your ability. "The guys are working hard, there's pressure to win, pressure to get results, pressure to perform. You've got to shrug that off and get on with it. We've got the opportunity to turn it around." 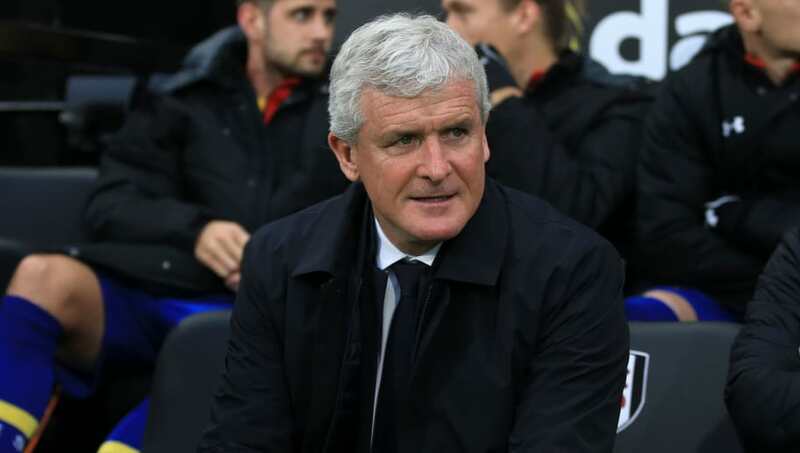 Individual errors ended up costing ​Southampton and, after being ahead early on in the first half, Hughes admitted that his side should have been able to come away with a win. "I don't think anybody who was here saw that coming," Hughes added. "It is really frustrating. On the day, in my view, we were the better team and scored two great goals. As the away side we shouldn't have to score four goals to win a football match."